unbeatable-sale has no other items for sale. Simple solution with good quality parts that does a fine job adding a ground plane to a antenna. Will use it again if I need another. I have also passed all this information and specification to my radio friends. I need to put up a small foot print antenna and this is just the thing, works great with 5/8 wave mobile antenna. 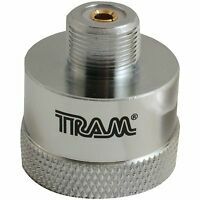 Very useful device for converting your VHF NMO base antenna into a base station antenna. I use mine for a field antenna when away from my vehicle. I mounted this to a tall speaker stand and sandbagged that for stability. I'm using this ground-plane kit with a tribander on my balcony. The reception and angle of radiation are much cleaner and on target. My signal is a lot stronger! 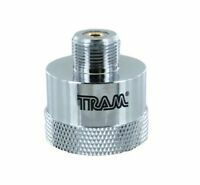 Nice compact necessity for mobile antennas! 73, All! Tom G... NV1U .... ..
Works very well compared to a J pole.